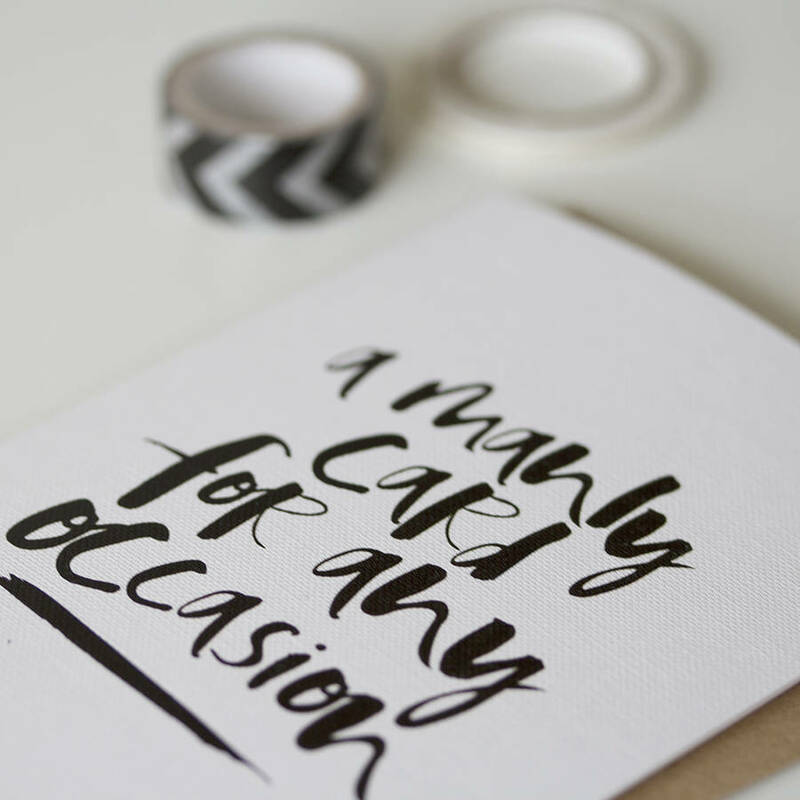 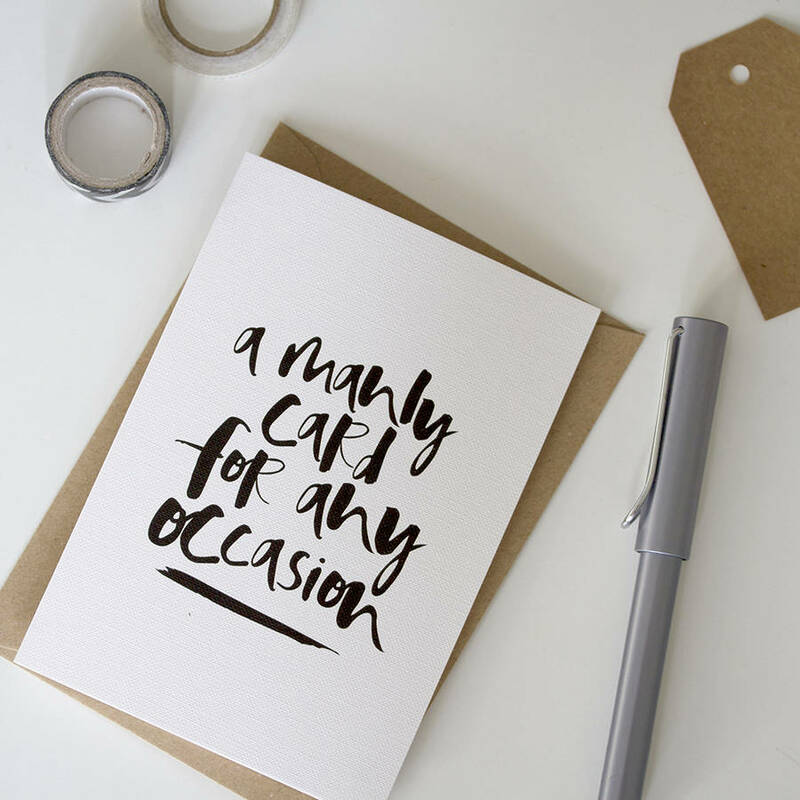 A very 'manly' hand lettered birthday card - that's not for girls! 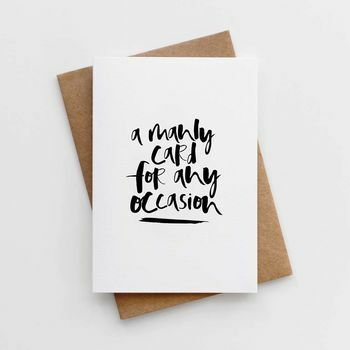 The perfect card to wish that special manly man of yours....well, just about anything! 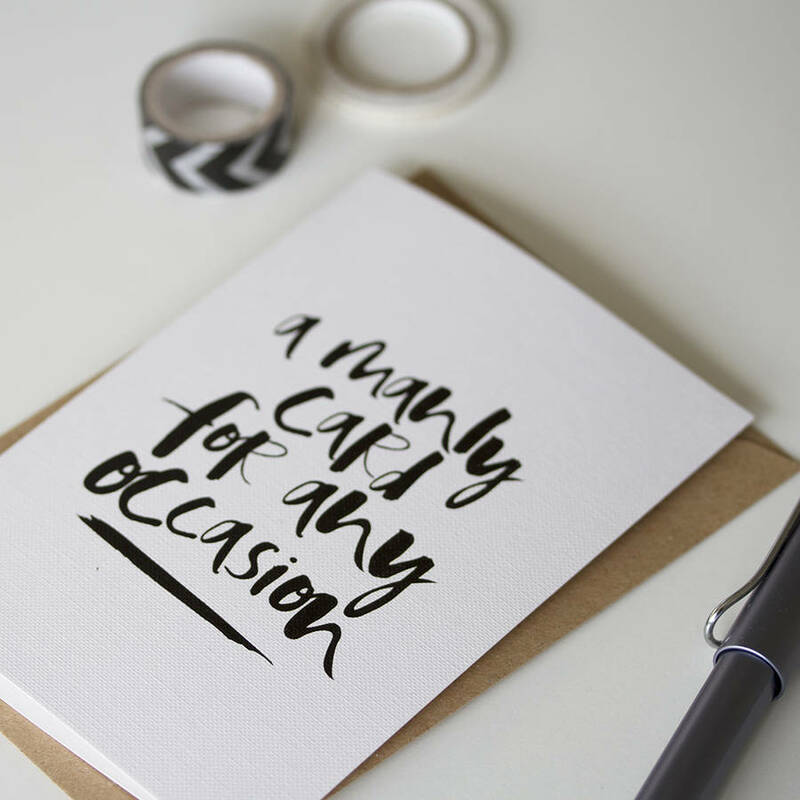 A modern take on the classic and traditional 'manly' cards featuring stereotypical hobbies and past times enjoyed by the male of the species, our 'Men Only' card covers a whole spectrum of occasions to make sure you can't ever get it wrong!